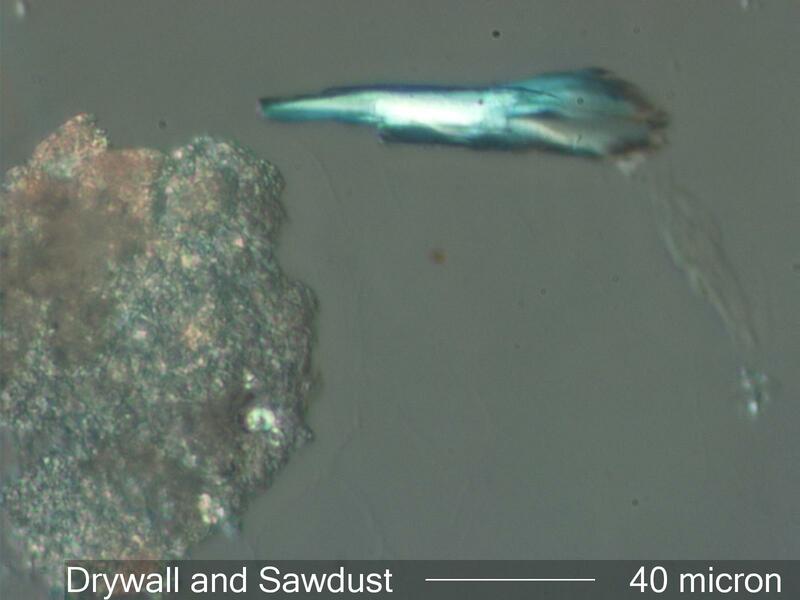 The particle on the left is gypsum from the wallboard. The bright particles at upper center is a fragment of wood sawdust. Gypsum in wallboard tends to be crypto-crystalline. Crystals will grow in the leachate from wallboard.